(Natural News) If you’re like many men and women who carry a concealed firearm, you carry your firearm whenever you leave your home. But we’re about to tell you why you ought to be carrying your firearm with you literally everywhere, including when you’re at home. 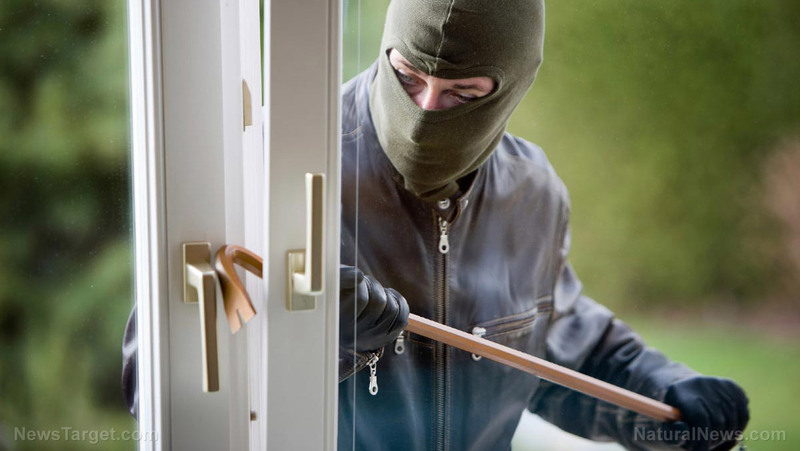 According to the most recent statistics, most home invasions/burglaries occur between the hours of 6 a.m. and 6 p.m., when most people are either away — working, going to school, running errands, etc. — There is an average of two million home burglaries that are reported each year to police. — Nearly one-third, or about 30 percent, of all burglaries occur via an open or unlocked window or door. — Two-thirds, fully 66 percent, of all burglaries are residential break-ins. — Renters are just as victimized as homeowners. — As stated above, the highest months for burglaries are summer, when we’re relaxing, letting our guard down and enjoying the weather. — If your home does not have a security system, it is about 300 percent more likely to be broken into than a home with a security system. According to current statistics less than 20 percent of homes have an electronic security system. And here’s an important statistic as well: One of three residential assaults comes as a result of a home invasion/burglary, hence the need to protect yourself at all times, even when you’re home. Statistics show that the vast majority (85 percent) of people who break-in to homes are non-professionals who are usually desperate — because they’re strung out on drugs, looking to get high, in need of fast cash, and so on. The majority of perpetrators are male and young — under 25 years old, more than a match for many middle-aged men and women, especially. — Target selection, following by surveillance, planning, more surveillance, deploying to commit the crime, committing the crime, escape/evasion, and exploitation. A favored tactic of home invaders who have been planning their crime for some time includes portraying themselves as a city worker, delivery driver or utility company employee, so they can gain access to your home. So, in addition to arming yourself and locking your doors and windows even when you’re home, you need to be aware of your surroundings and keep a sharp eye out for anyone who a) does not normally visit or loiter around your neighborhood; b) appears out of place; c) comes back for a number of days to the same location; and d) appears unduly nosy or curious. Stay safe this summer by remaining vigilant and protecting yourself, even while you’re at home. The odds are much better this time of year for encountering home invaders.